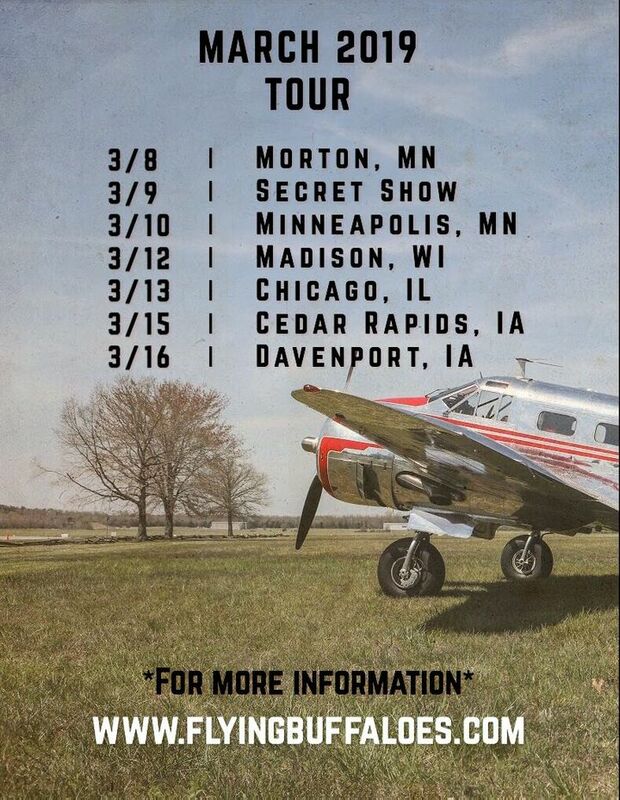 Flying Buffaloes are hitting the road and returning to the Midwest in March! Track to know when Flying Buffaloes is playing near you. They were great! Did some outlaw country and Skynyrd and did them justice! This the 2nd time I have seen them, and again it was a great performance. They endured 4 hours of 90 degree heat, high humidty with no air flow. Looking fwd to seeing them again.